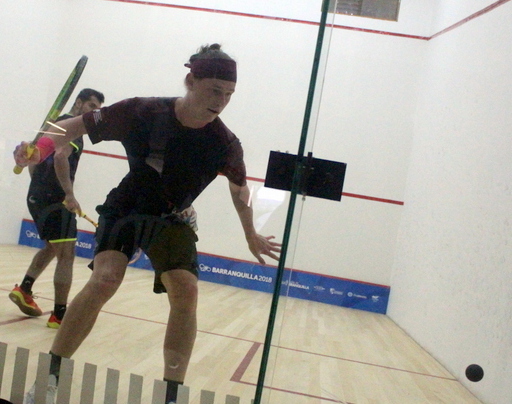 Noah Browne continued competing in the $11,000 Men's Aspin Kemp & Associates Aspin Cup 2018, University of Prince Edward Island, Charlottetown, Canada. Browne would take on the 5th ranked player Kristian Frost from Denmark in the Second Round. Browne went down in four games in a match that took over an hour to complete. Frost won the first game 11-8, but Browne would level the match at 1 – 1 winning the second game 11-6, Frost would go back in front winning 2 – 1 winning the third game 12-10, Frost would then close out the match wining the fourth game 11-5.